Bright and healthy complexion is the best accessory, and I will always believe that skin is something you should always take care of and worth splurging on. From time to time all of us find ourselves having a dull complexion which instantly makes us look more tired, stressed and older. By adding some new habits to your lifestyle and choosing the right skincare products it's really easy to diminish the dullness and enjoy a bright and illuminated complexion. Starting a day with a glass of lemon water will instantly boost your energy, and in the long run you'll notice your complexion being more radiant that ever. Vitamin C fights off the signs of aging and it's a know skin brightening agent. Nothing looks more dull than dry skin. You can't moisturize the dead skin away, so make sure to get rid of it by exfoliating. I like to use OROGOLD 24k Bio-Brightening Complex Peeling twice a week and it brings the best results in terms of brightening and softening the skin. The product contains Vitamin C, calendula and mother of pearl which guarantees you a radiant skin tone, it's definitely a product worth the splurge. Whenever you feel like you could use an extra boost, a cucumber and some ice cubes is always a good idea. 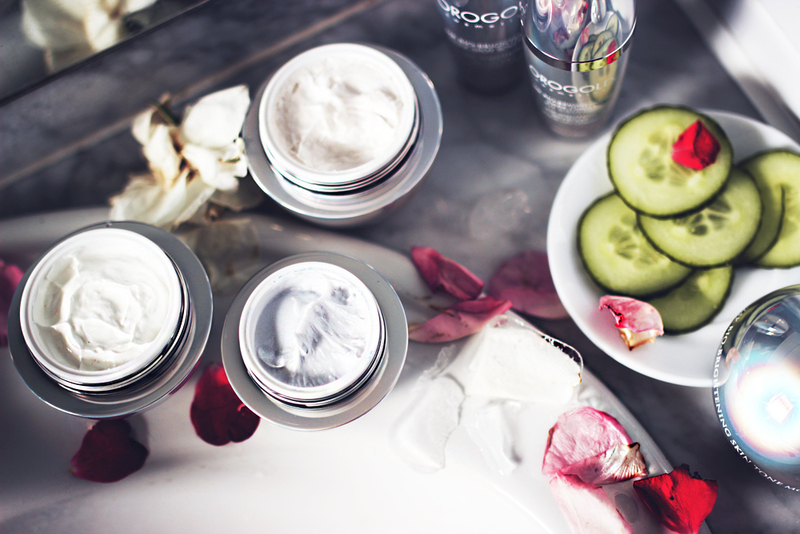 Cucumber is know to have skin brightening qualities, especially for those under eye circles. Ice increases the circulation of blood which instantly gives a natural healthy glow. 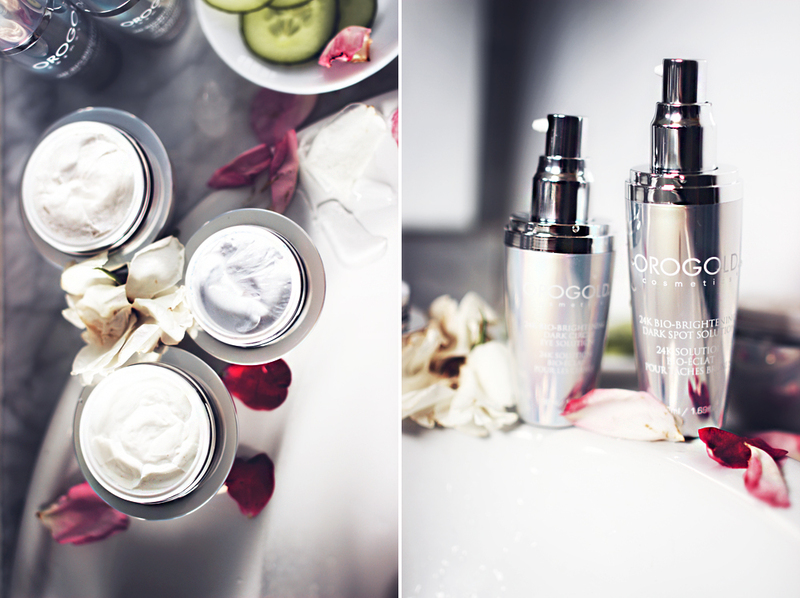 Moisturizing your face at least twice a day is absolutely crucial. 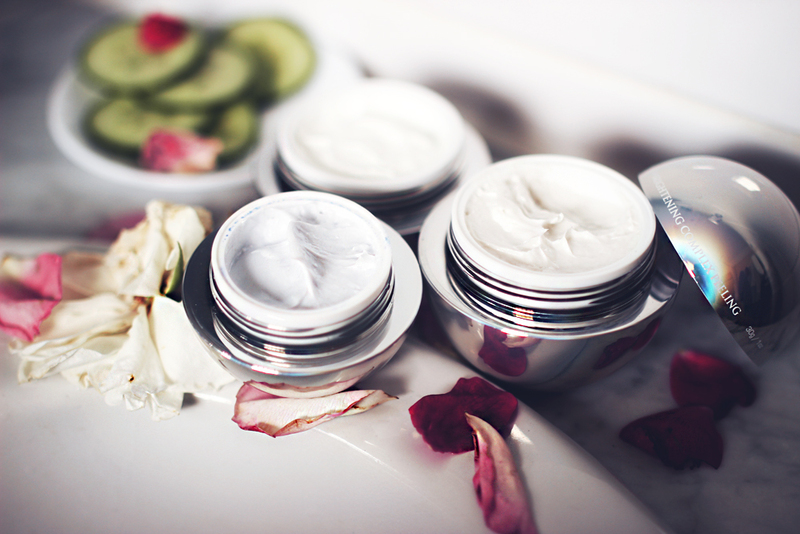 Skipping moisturizer will cause skin to look older and fine lines appear more visibly. 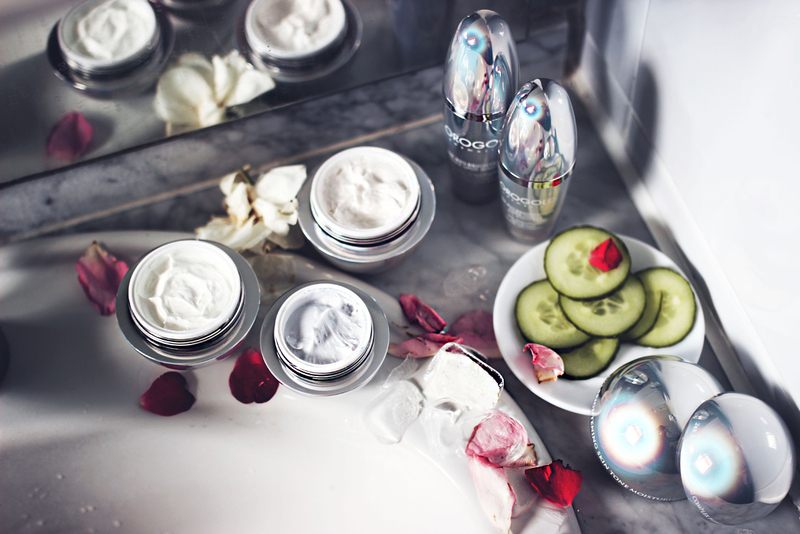 To make the best of it, consider a brightening moisturizer for an added glow. 24k Bio-Brightening Skin Tone Moisturizer from OROGOLD contains gold, green tea extract, aloe and vitamin E and helps fighting dark spots and harmful effects from the sun. I find that this product has kind of a pearlescent effect to it which makes the complexion extra radiant and illuminated. Along with the moisturizer, you should always go for the eye cream as well - dark circles under those eyes are the key to dull looking complexion. Dark Circle Solution from the same brightening OROGOLD line has a similar pearlescent effect on the skin which instantly brightens, and diminishes dark circles in the long run. The product contains shea butter, coconut oil, and - surprise surprise - cucumber extract. Using these products together I've noticed the best results in terms of brightening my skin tone, and softening the skin. 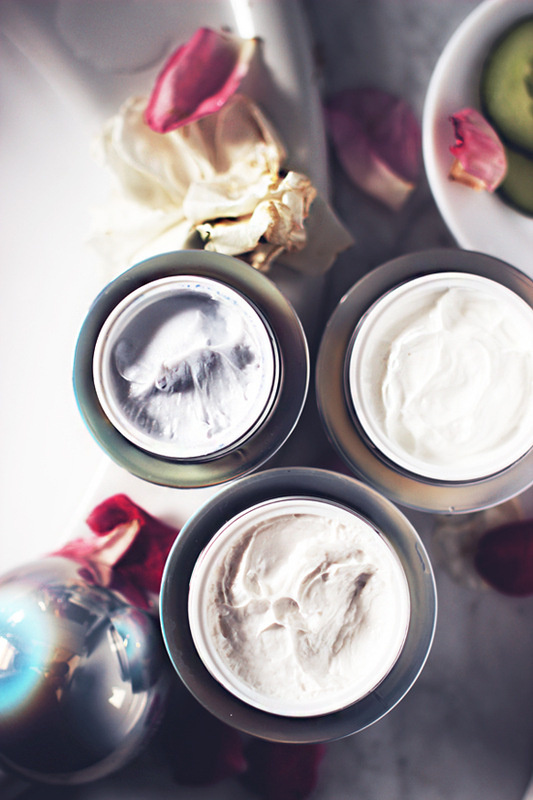 Using a face mask is so good for your skin, and everyone should do at least once a week. There's a face mask for basically any skin type or specific problem, and for brightening I've been using Pigment Balancing Mask from OROGOLD which redistributes melanin evenly over the skin. As we age our bodies natural processes begin to decline and instead of spreading an even glow all over skin, Melanin begins to build up in certain spots on the skin causing dark spots and discoloration in certain areas. The 24K Bio-Brightening Pigment Mask is designed to even out and brighten the appearance of skin. I feel like the mask brings instant results and after every use I can see my complexion being lighter, brighter, refreshed, and I'm happy that it helps with sun damage as I live in a part of the country where's sunny 300 days a year. For even more targeted use, I've been loving the Dark Spot Solution which works wonders for blemish marks. These photos are stunning! Great blog post girlie. Great tips! I absolutely love the photography in this blogpost! This is such a great post; informative and to the point! I have been using these methods for a while now and they seriously leave my skin feeling happy and healthy! Exfoliation and a nice diet do the trick for me! Awesome skincare tips! This is a very interesting blog post! Thank you for sharing! Have a nice weekend!